In the second edition of our Western Conference previews, we’ll take a look at the cellar-dwelling Edmonton Oilers. Is this the year they figure it out? Or will they return to the top of the draft once again next summer? As we mentioned in our Flames preview, the only team to finish lower in the Western Conference standings than Calgary last year was Edmonton. Their reward for being awful again? Draisaitl, who has already signed and could get a look as the team’s long-term answer as a second line center. 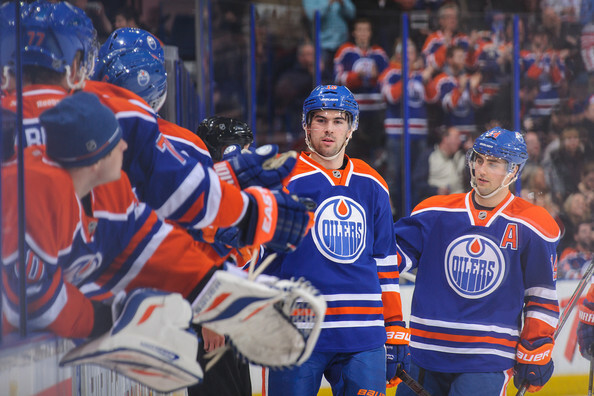 But relying on kids to make an immediate impact hasn’t worked yet for the Oilers. Hall is the unquestioned team leader, and continues to improve. What’s scary for Western Conference opponents is that Hall will turn 22 in mid-November, and Edmonton has him locked-up at a modest $6M cap hit for five more years. The young Oilers will continue to show a lot of flash up front with Hall, Nugent-Hopkins (20), Eberle (23) and Perron (25) leading the offense. All four of those young forwards have shown the ability to be top-tier scorers; they combined to score 102 goals last year. But will Nail Yakupov, who turns 20 on Oct. 6, develop into a more responsible forward? His iCORSI of 160 last year ranked seventh on the Oilers, but would have ranked only 14th on the Blackhawks. There has been a lot of trade buzz around Yakupov this summer, and he will continue to hear the rumors as long as he’s a question mark in every zone. On the blue line, the Oilers added a few depth pieces in Nikitin, Fayne and Aulie this summer but have yet to address their biggest contract need of the year. Schultz, the team’s ice time leader, is still an unsigned restricted free agent and August is nearly over. How much will the 23-year-old get on his next contract? One area where the Oilers will certainly be better this year is in net. The additions of Ben Scrivens and Viktor Fasth last season give Edmonton a good – not great – situation between the pipes. Scrivens posted a .916 save percentage after being acquired, and Fasth had a .914 save percentage with the Oilers last year. As Fasth enters the final year of his deal, there will certainly be financial motivation for him to have a good season. But will he be the starter for the Oilers? Scrivens has two years remaining on his current deal, and is likely to be the opening night starter. With Vancouver rebuilding and Calgary having their own questions, the Oilers need to show something this year. 82 points won’t get them into the playoffs, but it will likely keep them out of the cellar in the Western Conference. This prediction would indicate a 15-point improvement in the standings, and will require them to be better than 16-22-3 at home. Agree with most of the article, but don’t you think that Simpson, Gernat, Musil or Moroz deserve more of a look that Roman Horak? Why would you even include him since he’s playing in Russia? Thanks for the reminder on Horak, Jodes. He’s a talented young player, but is indeed headed to the KHL. No problem Tab.. I just wish they’d get the Schultz signing over and done with and maybe focus on trying to get a decent 2C. I’m not talking about Johansen from CBJ, but that’s a team that is DEEP in C and could part with someone like Anisimov. Would love to get Nelson from the Islanders, but he might cost a lot too. Get a deal done, and offer say Lokitionov a PTO. That’s then given you some much needed depth at C. Sadly Draisaitl will be thrust in the spotlight at 2C, and one of Lander and Arcobello will be our 3rd line center. He might be ready, but we know what happened when they pushed Gagner. I tell you that if RNH or Gordon go down with injuries, early, we’re another lottery team. This team has as much talent at forward as any team in the west. Dont laugh they are supremely talented up front. 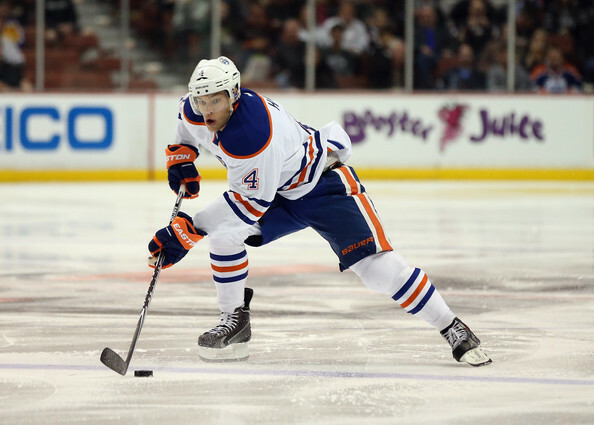 Hall is a future superstar, Eberle and Perron are impact player and RNH has alot to offer. If Yakupov can play and I believe he can that gives them four impact forwards in their top size and makes them a contender.